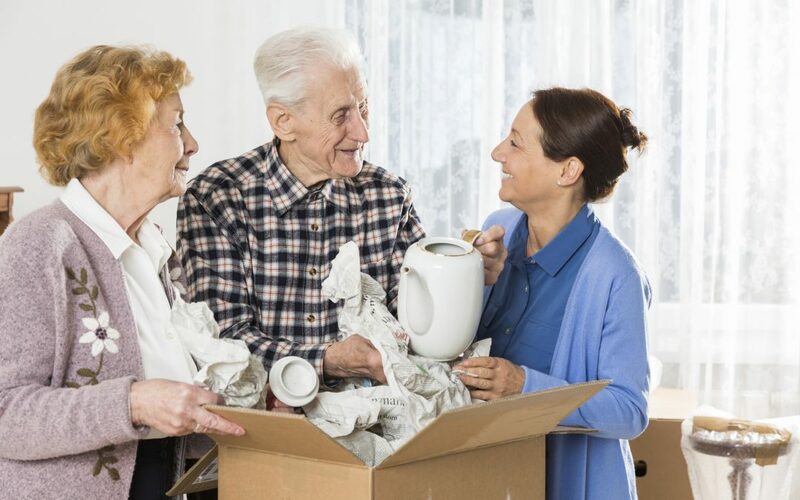 Moving a senior parent can be a major challenge. Not only can emotions often be highly charged, but the complicated logistics of deciding how and when to conduct a move to senior living can add even more pressure to already difficult experience. Deal with one room at a time. Trying to facilitate an entire move at once can feel overwhelming, especially when that move involves possessions acquired over a lifetime. To make things easier, organize and pack one room at a time, starting with the smallest or least-used room. Taking care of that first room will give you and your parent a sense of completion and help you maintain optimism throughout the rest of your packing. While family and friends are often willing to help load and unload, it’s often worth hiring help on moving day. College students are often happy to work a few hours for a fraction of the cost of a full-service moving company and their energy and strength can make everyone feel better about what will almost certainly be an emotionally difficult day. Transitions almost always come with some sadness. That’s okay. Give yourself and your parent a moment to pay respects to the life they’ve lived but consistently think about the possibilities of life going forward. Help your parent remember that it’s never too late to meet new people, start a new hobby, or learn a new skill. With some gentle persistence and a little imagination, moving can be an amazing new beginning for your parents and your family. It’s easy to underestimate the time it will take to prepare for the move. Beyond the time to actually gather supplies and pack, you need time with your parent to consider what to keep and what to let go. We recommend starting to organize your move at least six weeks before your moving day. Having plenty of time to make decisions really helps manage everyone’s emotions. Let go what you can. Letting go of possessions can be difficult, but reducing the number of things you have to pack will make moving day go so much more smoothly. Take time to help your parent decide which things they own that are no longer useful or don’t bring them joy. Donating to charities can bring a sense of moral purpose that makes letting go of things easier to do.